2% thoriated tungsten contains a nominal 2wt-% or thorium oxide (ThO2) that is evenly dispersed throughout the entire length of the tungsten. The most common type of tungsten used today. Provides excellent resistance from weld pool contamination while at the same time offers the welder easier arc starting capabilities and a more stable arc. 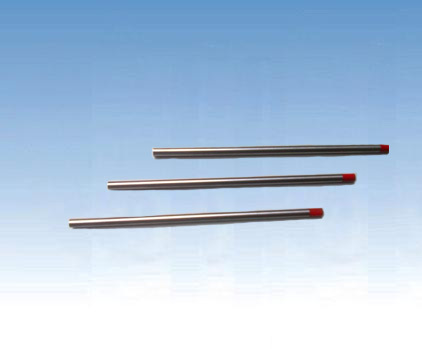 Generally used for DC electrode negative or straight polarity applications such as carbon and stainless steels, nickel alloys and titanium.